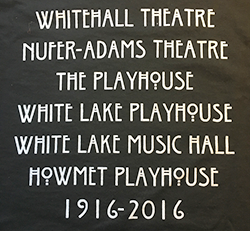 Proceeds from the purchase of the items described below support the operations of the Howmet Playhouse! 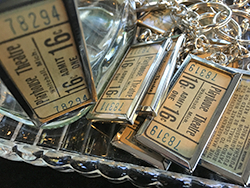 To celebrate our centennial, we are offering some wonderful merchandise: shirts and vintage 1920s movie ticket necklaces and key chains. 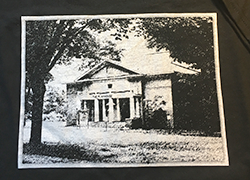 These are available at the Howmet Playhouse box office during shows. If you do not live in the area, please send a check with a list of the items and sizes you would like to purchase. A $3 shipping charge will be added to each order. We do not accept credit cards for these items at this time. The Howmet Playhouse is a year-round venue. Be sure to visit the EVENTS menu for our complete schedule of plays, music, movies, and more.